this building in the heart of east molesey has been extended before, but not necessarily improves in it’s logic and natural flow whilst rooms & functional areas have been added and connected. 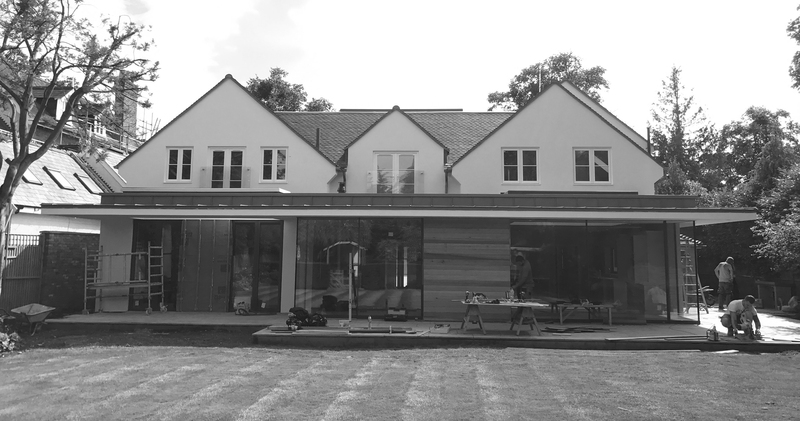 after inheriting the project from other architects we gave the house a fresh design by moving the entrance and staircase to the middle & reorganising all rooms on all floors whilst raising some heights to finish with a new contemporary look to a traditional elegant building facing the garden giving the project the classic 3s look. building work has been completed with the fit out work currently ongoing.